One of the big advantages of Pinterest is the ability to find all sorts of cool ideas, such as what can you and your patients do with multiple pairs of sunglasses and eyeglasses? 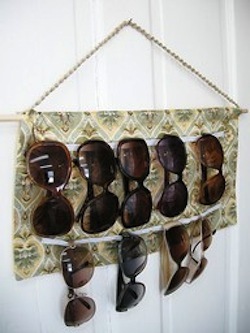 What would be cool, is set aside a little wall and put up some of these DIY eyewear racks to show your patients how multiple pairs of eyeglasses can be a bit of fashion decor. 2.) 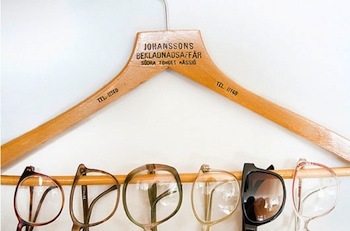 Simple hangers - All you need is wood hangers and a few nails or hooks to put these hangers up. 3.) For crafters, this eyewear rack comes with it’s own DIY instructions. Multiple prints and colors displayed in the office could be seasonal fun! 4.) I want this one! 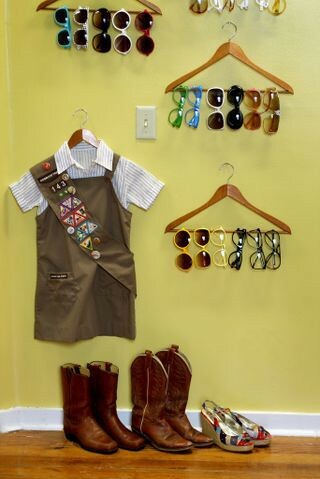 Check out the sunglass rack on the inside of the closet door. 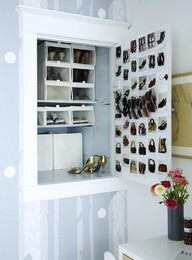 Good for small spaces! 6.) 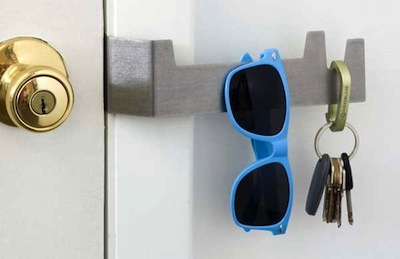 I like this idea, never leave home without your keys and your sunglasses! 7.) 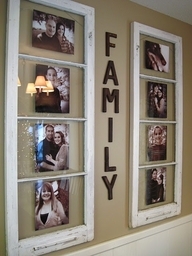 Along the same concept as the picture frame, these are old window frames! 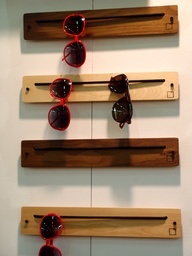 You can take a wall and showcase ‘eyewear stories’ in each section. Old window frames and doors are easy to find on sites such as Craigslist for free. Instead of "Family", Put in "Trends". 8.) 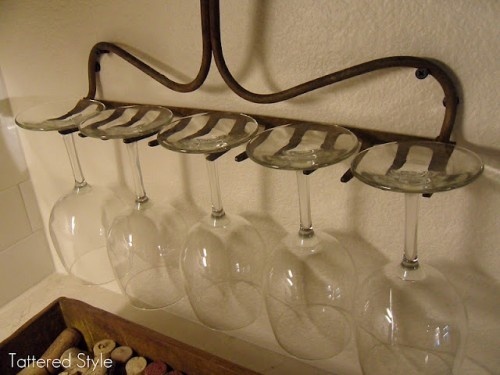 Old Rakes - Do It Yourselfers are using old racks for Wine Glasses and necklaces. The same idea can be used for Eyewear! 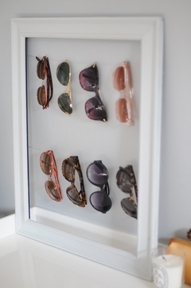 Do you have any ideas about how to display your eyeglasses in your home or eyecare practice!? Leave us a comment and share your creative ideas!